We invite you to join us in our work. We look forward to hearing from you! Building on a culture of collaboration, integrity, respect, excellence and gratitude, the University of St. Thomas Development team exists to advance the university by engaging alumni and friends who support the mission and purpose of the university. Departments are listed to the right. You can also contact us using the general information below. Founded in 1885, the University of St. Thomas is a Catholic university based in the Twin Cities of St. Paul and Minneapolis. 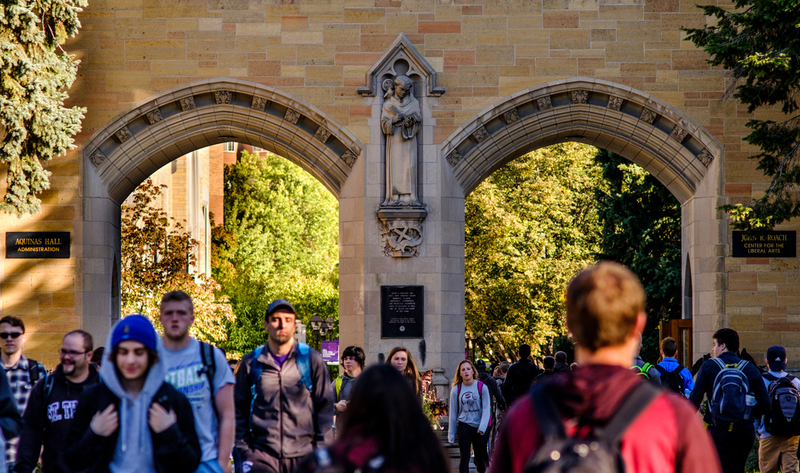 The largest private university in Minnesota, St. Thomas offers bachelor's degrees in over 85 major fields of study and more than 45 graduate degree programs including master's, education specialist, juris doctor and doctorates. Find more information about St. Thomas here.